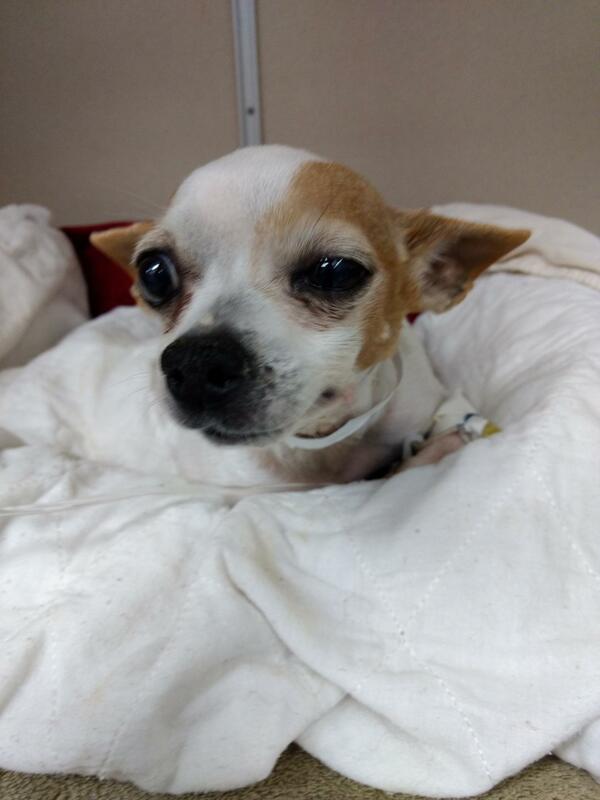 Your donation will help BETSY (Chihuahua) recover. Our Heart's Break daily for all the pups we want to save but can't. We decided to take on Betsy to see if we could figure out what was going on and if we could get her better. I sent all of her records and x-rays to several Specialists before she arrived so I could make sure we had her at the best possible Hospital for her symptoms. Her x-rays clearly showed she had a collapsed trachea. Betsy arrived at CVRC and was immediately put into an Oxygen Chamber. Dr. Kristin Welch took over her care along with several other Specialists to get to the underlying cause of the collapse. Betsy arrived with advanced Pneumonia which is why she was so critical. We did not think she would survive the night, her cough and pneumonia were that bad. In the meantime, while the Specialists were working on Betsy, I contacted a Medical Mfg, that produced stents to be used for Collapsed Trachea in humans to see how quickly I could get one and to get the cost down. Adorable Betsy was in ICU for almost two weeks getting stable. 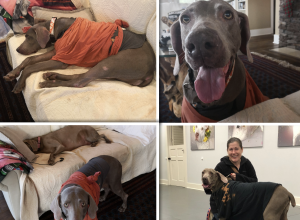 Trachea washes were done, along with biopsies and cultures to determine what had set off this six-month episode that had her in and out of the hospital prior to us rescuing her. Betsy had originally been picked up as a stray and kept by a Lady that wanted to get her well. She spent thousands of dollars on Betsy and when it got too much financially and Betsy was not getting better she signed her over to the hospital which signed her over to another Rescue. 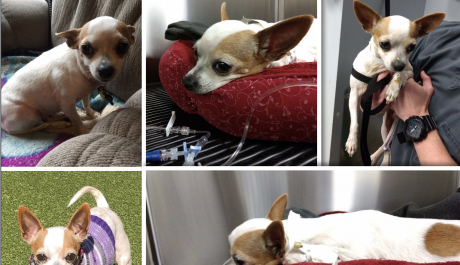 This tiny Chihuahua had everyone working on saving her but no one could get to the bottom of her illness. She had been on Antibiotics and cough medication for the past six months with no relief. Dr. Welch was hopeful we could get to the underlying cause and was committed to getting her better. 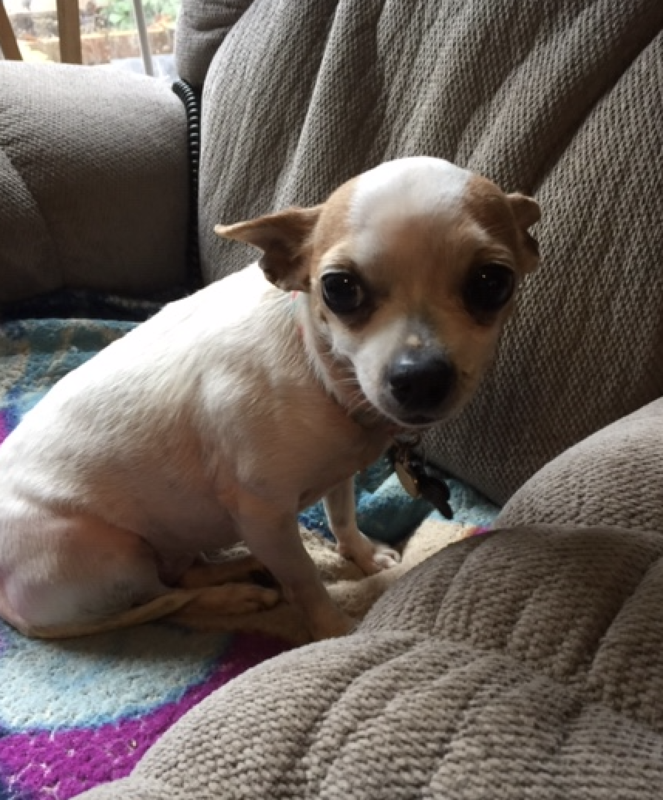 Betsy has the typical chihuahua personality, one minute she loves you and the next you are the enemy until she completely falls in love with you. She gave Dr. Welch fits for about a week and then she won her over. 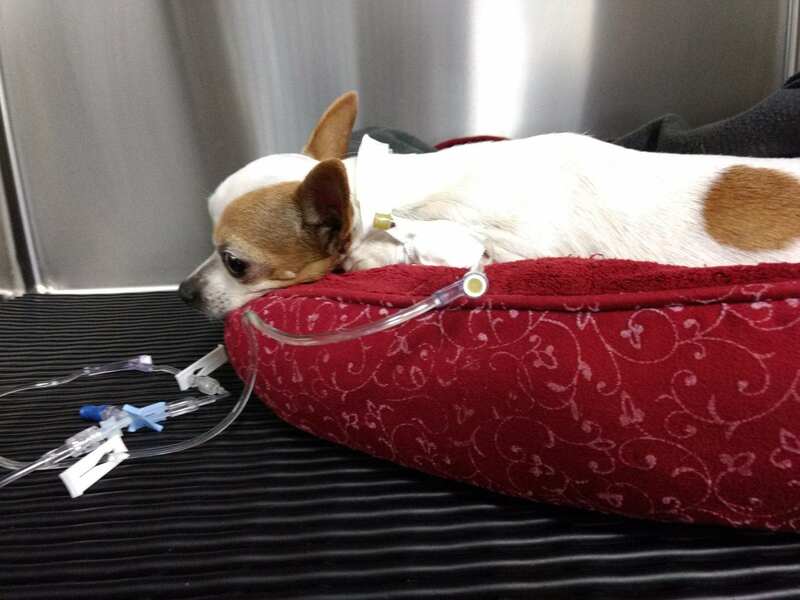 The underlying cause of Betsy's pneumonia and Collapsed Trachea was she had a confirmed case of Bordetella and no one had cultured her deep enough to get the diagnosis. Her antibiotic treatments were also affecting the results which made it hard to diagnose. We all jumped for joy when she was diagnosed with Bordetella. 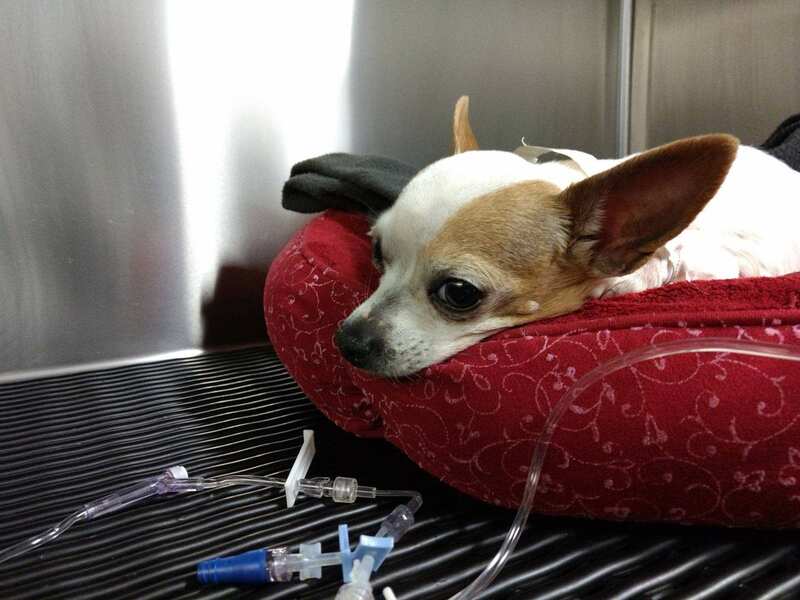 She was put on appropriate antibiotics, cough suppressant and was kept on oxygen. Betsy was critical for almost two months before she was allowed to leave the hospital and come to our Rehab Facility to recover completely. We were not sure if we were going to be able to save her but we were putting all the resources we had into saving her. The other reason why we did not post for her is that we have been doing everything possible to find the original Lady that saved her. We wanted her to know that Betsy was improving and to know if she wanted to adopt her when she was well. We had left message after message and also let her Vet know what we wanted to do but she has never contacted us. We can only assume, she does not want Betsy / Baby since I know the messages were delivered. She tried so hard to save this precious pup, I wanted to let her know she could have her back and that she was not Euthanized. Betsy got over her Bordetella and Pneumonia and is doing fabulous. It took us almost four months to get her well. We were prepared to put a stent in for her Collapsed Trachea but she no longer needs the surgery. Betsy can NEVER wear a collar because of her weak trachea and will have to use a harness always. 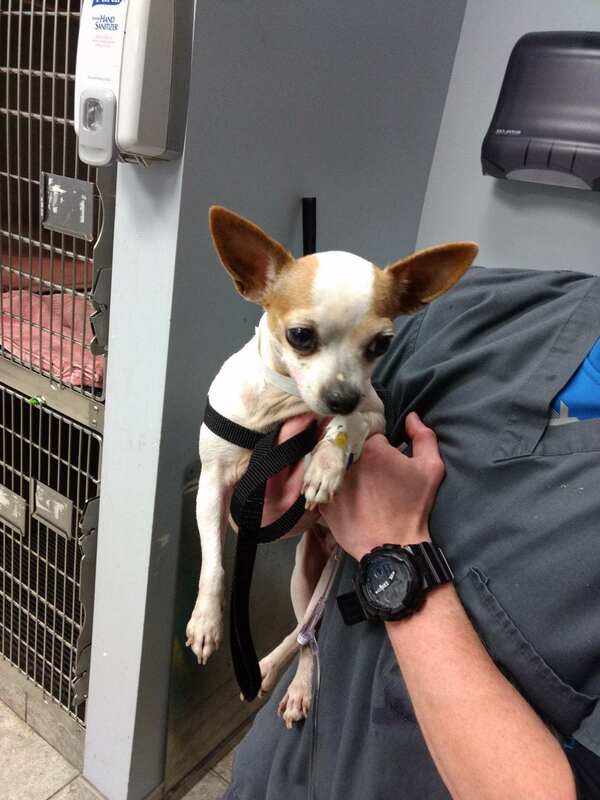 She has the typical skin allergies that chihuahuas have but is doing wonderful and is now ready to be adopted. 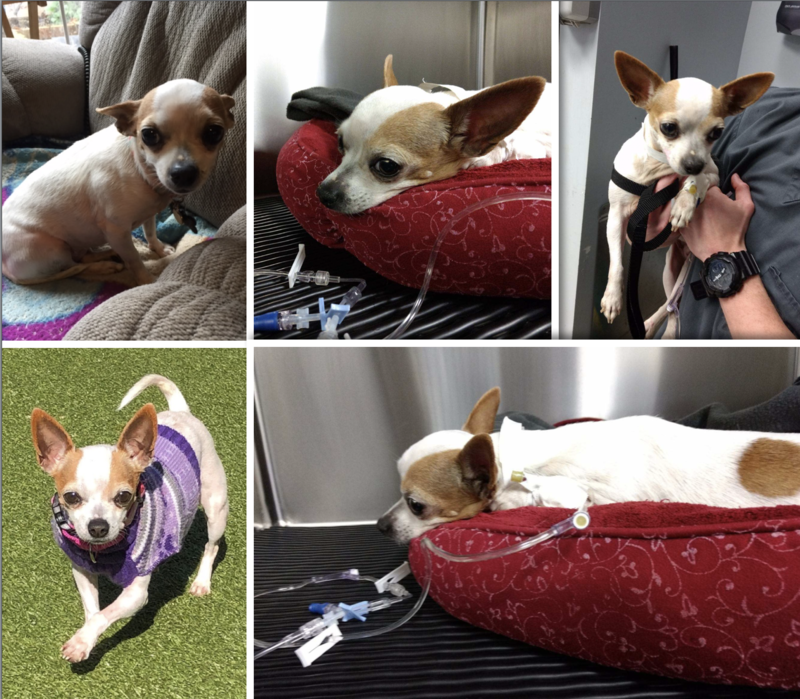 She is a fabulous pup that wins your heart quickly when you realize what all she has been through. 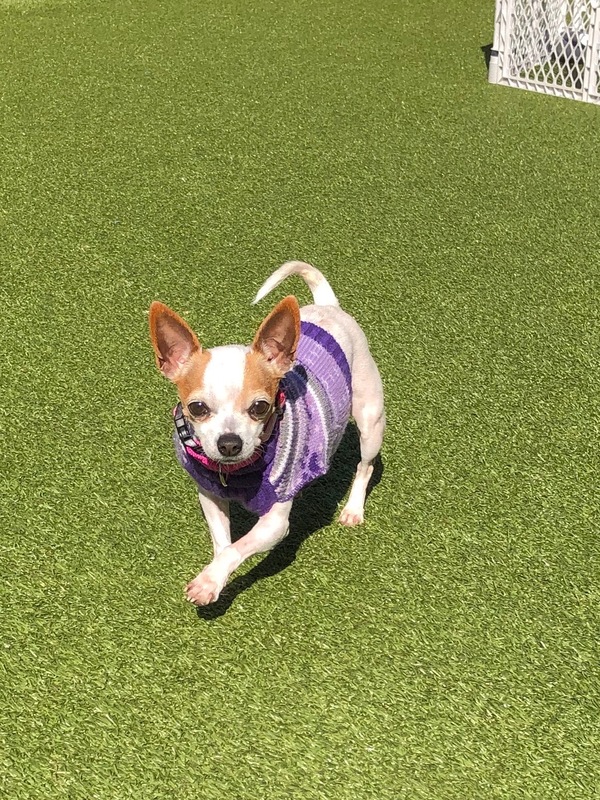 If you love Chihuahuas and their funny personalities, she is the perfect dog for you. 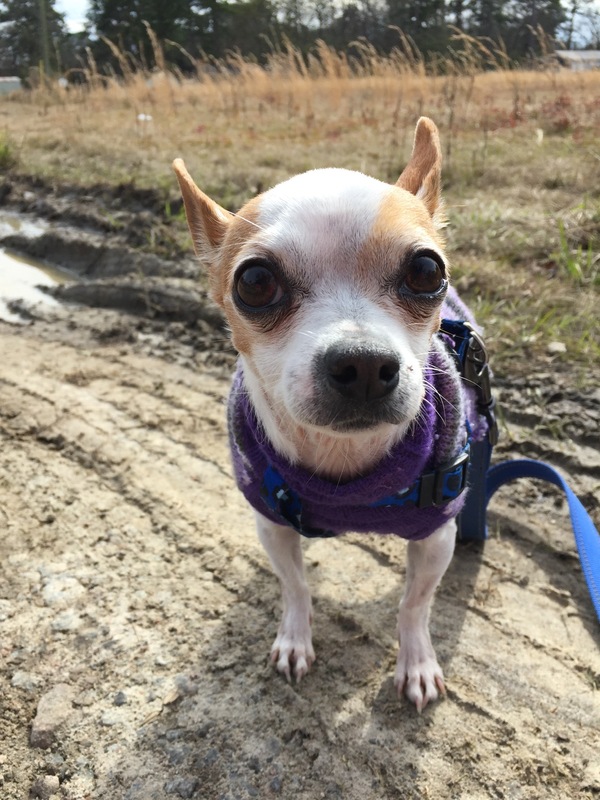 Betsy is tiny with a big personality that lets you know she is in the room and demands to be the center of attention. She has completely healed from her pneumonia and Bordetella. Another word for Bordetella is Kennel Cough. It usually clears up in a couple of weeks with antibiotics and is highly contagious. It only becomes fatal when pneumonia develops. You then have to act quickly to save the dog. We have got a mountain of bills from saving Betsy over the past four months. PLEASE, PLEASE, PLEASE Donate toward her Medical Bills so we can save more dogs with this horrible Disease before it becomes fatal. Thanks for caring about Betsy and all our other special pups that come into our Lives needing unconditional Love and Care.